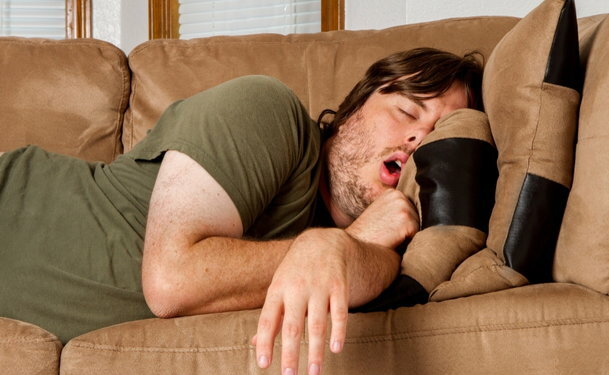 If you are one of the millions of snorers, then you might be curious to know that why do we snore. Snoring is a problem that can be caused by a host of aspects, and there are many questions you need to ask yourself to answer the question why do we snore. For those who are regular drinkers, you should try to find out if the problem affects you on a sober night. Alcohol, being a depressant drug, relaxes the muscles in your body that can be the cause of a sneezing problem. More so than regular sleeping, alcohol can cause the muscles in your throat to relax to a point where there is an airway obstruction. Your best bet for fixing the problem is to avoid drinking altogether, or to at least have your last drink more than 4 hours before you go to sleep, if drinking is the only cause of snoring. One of the main causes of snoring is overweight. This is due to the fact that fat deposits begin to occur in the neck and throat area, which can get big enough to put a strain on the airway, causing obstructed breathing that results in snoring. Weight loss is the main way to help, if overweight is the cause of snoring. Another cause of snoring is sleeping pills or anti-histamines. If you find yourself using these products before bedtime, similar effects to those caused by alcohol can result in a snoring problem. The relaxation of throat muscles is common when taking these drugs, just as they are with alcohol. Allergies can often result in nasal congestion, which can make it hard for your body to get the oxygen it needs. Unfortunately, since antihistamines also cause issues, one of the best remedies for this problem is to just take a decongestant as opposed to an antihistamine. A large amount of snorers only snore when they are lying on their back in bed. The simple remedy to this trouble would be to train your body towards sleeping on your side. While there are many products for sale to help this issue, they are usually differences on a tried and true method. The basic, simple, and cost efficient remedy would be to put a tennis ball in a sock and pin it to the back of your pajama pants. The ball causes you to naturally favor sleeping on your side by making it uncomfortable for you to sleep on your back. While these are a good number of the reasons for why we snore, there are also others. It may be helpful to speak to a health care professional about the problem, if you can’t seem to pin down why exactly you may be having a snoring issue.